Hawke’s Bay is where the clan from the Avondale mosque settled after dispersing during renovations a couple of years back. A father who became upset at his 5-year-old son’s behaviour during prayer time made the boy get a hammer and kneel on a sheet so he could be executed. 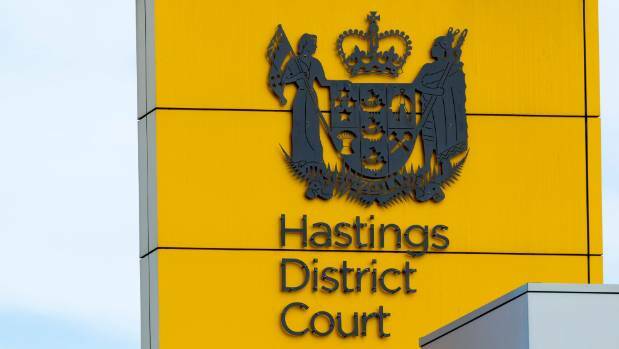 The offending by Hastings man Kiimatangiroa​ Junior Samuel, 41, was described by Judge Max Courtney as “the cruellest set of facts I have ever come across”. Before making his weeping son kneel and close his eyes, Samuel told his other children, aged 7, 9 and 10, to fetch sheets as he didn’t want blood to get on the floor. He then told his children not to watch and “look away so you don’t see all the blood”. The incident, which ended with Samuel laughing at his terrified son, occurred in his Hastings house on February 26, after he and his children had returned from prayers at the Hastings mosque. Samuel told police he had become upset because his son had been running around the mosque during his prayer time. He said he had no intention of carrying out the threat and had only threatened to execute his son to get him to be more honest. As well as pleading guilty to threatening to kill or cause grievous bodily harm in relation to the mock execution, he pleaded guilty to nine other charges of assaulting his children, eight of them representative charges occurring over several months. Police became involved after Child, Youth and Family received a notification from the children’s school on March 7. 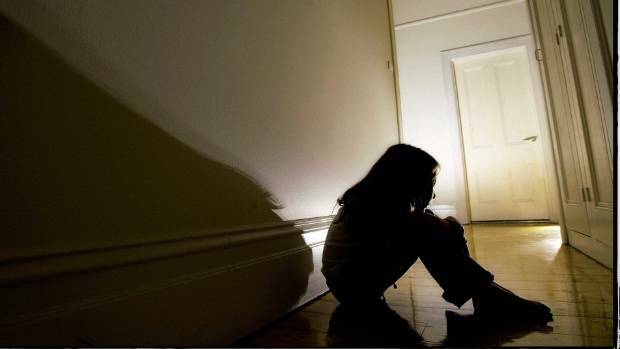 Samuel’s 7-year-old daughter had told staff that her father had become angry at her sister, aged 9, and that she had been kept home by her father. It transpired that Samuel had grabbed the 9-year-old by the collar, threw her to the ground and punched her in the face. She begged him to stop but he continued beating her. Other incidents involved Samuel twisting his children’s arms and throwing car keys at them until they sobbed. They were hit nearly daily with a broom. At other times they were made to line up while he threatened to hit them with a power cord and other items. Samuel’s lawyer, Antony Willis, said his client had struggled to handle his children, had dealt with situations extremely poorly in a spontaneous manner, and was remorseful. Judge Courtney said the mock-execution was the lead offence and told Samuel “I have never had to deal with sentencing for a summary of facts like this before”. “It’s horrendous … It is certainly not the way you instil honesty and truthfulness in your children,” he said. The judge said the children’s victim impact statements revealed that his daughters missed him but they felt scared of him and were happier without him and did not want to be alone with him. The 5-year-old was pleased his father was in jail because he was scared of him. Courtney said his time as a Family Court Judge meant he was “well aware of the psychological scars and impact” caused to children involved in domestic violence “and I have no doubt, even without expert evidence, that all these children have suffered psychologically”. The drawn-out psychological torment of “a 5-year-old kneeling in a position to be hit over the head in execution manner, having had to go and collect the hammer, would be simply incomprehensible”. The judge said he agreed with the probation officer’s report that said Samuel had attempted to minimise the offending. He was also concerned at Samuel’s insinuation that physical discipline was part of his culture. “It’s quite clear that in New Zealand, whatever anyone’s culture is, it is totally inappropriate and it is clearly illegal… Quite frankly I do not believe any culture would condone the type of behaviour you have committed against your children,” the judge said. The judge noted Samuel had several previous convictions including two for assault and two for breaches of protection orders. He gave him no credit for remorse, but did give him credit for his guilty pleas. Samuel was sentenced to four-and-a-half years in prison.